The Arizona Hotshots found themselves locked in a 9-9 tied coming out of the first quarter in their battle against the San Diego Fleet on Sunday. However, to second quarter touchdown tosses by quarterback John Wolford and a stifling defense helped lead Arizona to a 32-15 victory. The Hotshots defense did allow 411 yards of total offense the San Diego, but held firm in a bend but not break philosophy. Wolford finished an impressive 15 of 19 passing for 212 yards and two touchdowns. He also gained 44 yards on the ground, including a 35 yard touchdown run in the fourth quarter. Jhurell Pressley led the team in rushing with 64 yards on 15 carries and Rashad Ross made three receptions for 53 yards to lead the team. The total is set at 43.5 for this contest. The numbers clearly point to the fact that the under looks like the smart bet. Arizona has gone under in every one of their three games on the road this season while San Antonio has gone under in two of their three at home. However, we go the opposite direction in this game. The last time these two teams met they put up 54 total points. In addition, the two combined for 51 points last weekend. 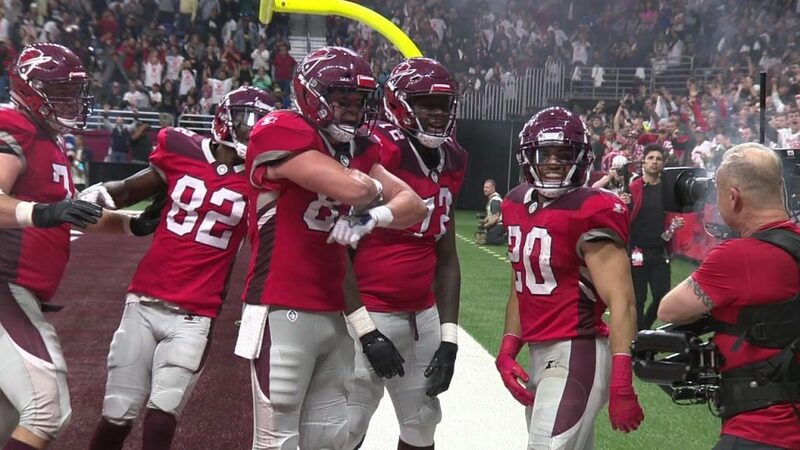 We see this as a much higher scoring affair than many, so take the San Antonio Commanders to win 28-25.